Moreover, as a framework for our reflections on mourning and on the tears of mourning (or sorrow), we already knew from Christ’s lengthy Parable of the Sower that Our Lord does not favor those whose Faith is superficial. For, as He Himself explicated to the Apostles, the cultivation of the soil (like the cultivation of the soul) requires depth and deep-rootedness. We must, lest it evanesce, continue to grow in the deeper understanding of the Faith. My husband and I mourned. We were disquieted. We talked about the ugliness of the modern spirit in its “itch for innovation” (Samuel Johnson) and how it destroys the beauty of God’s landscape and nature. We missed the beauty that was lost, most probably beyond repair, and we considered the step-by-step dehumanization of civilization. One day, we said, we will wake up in the midst of ugliness, and we had not even realized how it had crept up on us slowly. Or, “drop-by-drop,” as in a titration. While we were silent after this conversation en route to Our Lord and the Sacrifice and His Mystical Supper, I reflected on how we just then had responded to the new ugliness. In modern terms, we were so “negative”, and many people might well tell us to “hang loose,” to relax, not to disturb the Sunday with our indignation, especially about such an unimportant matter. Yet, I realized that such a sorrowful response also is an act of affirmation. Mourning something vulnerable and then perhaps irreparably lost, also means to affirm and to cherish it, even the memory of the former beauty. Yet, all too often one hears today that that is just being “backwards”, “old-fashioned”, or just grumpy and churlish. One should not live in the past, one just should forget such sudden “visual fractures” and other cruelties that happen, whether material or immaterial ones. I then remembered a sentence which my husband and I have recently discussed. While reading in little portions The Mystical City of God by the Venerable Maria of Agreda, I had come across the Blessed Mother’s reported words strikingly addressed to Mary of Agreda. 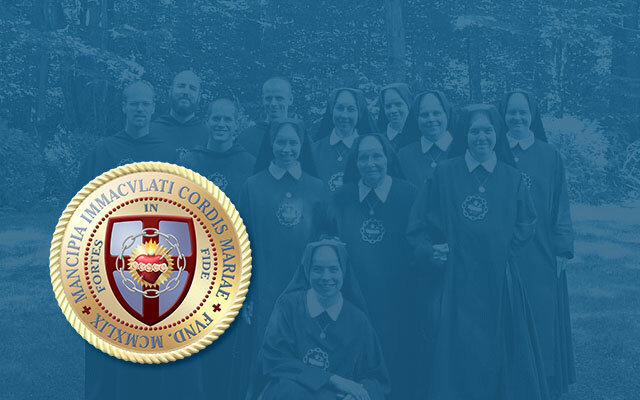 They are, as follows: “I, too, have co-operated in this work [of Redemption by my Son Jesus Christ] and have paid the sorrows and afflictions, which thou [Agreda] hast understood and which I wish thou shalt never allow to be blotted out from my [the Blessed Mother’s] inmost memory.”1 At the time, my husband pointed out to me that here the keeping in memory of evil deeds and of suffering is a good. It is a way of honoring, in gratitude, both Christ’s utmost generous act of helping us (through His own suffering and by conditionally opening the gates of heaven for us), and also His Mother’s cooperation in that Passion and Redemption. The Blessed Mother did not say: “Just forget about what my Son and I did and suffered, move on and forget about the past. Don’t be so negative.” What ingratitude this would be, indeed. How important it is for us Catholics to keep the memory alive of what Jesus Christ and His Mother went through for us — and not only in Lent. We are also aware of the above-mentioned fact that Christ Himself promised a special blessing for those who mourn. “Blessed are those who mourn: for they will be comforted.” As my husband and I believe, mourning also implies a depth of heart. A shallow soul cannot truly mourn, or at any rate not for long. Even in the case of one’s “inmost memory” of the loss of the beloved, through death. Yet, sometimes it so that only through suffering, a soul (or a people or nation) can gain a new depth and maturity of heart. When we lose a loved one through death, we mourn the loss of something good, of someone good whom we have cherished. By our sadness we also affirm the good that we have lost. Therefore, it is an act of approbation and love. The same way, when we mourn, for example, the loss of natural beauty in a landscape, we affirm the beauty that was once there and discerningly resist the manifold evils of our own discordant times. If we were to adapt (much less “conform”) to this world, going along with these easy formulas about “progress” and the fast changes in our world, we would silence our own affirmation and may even get slothfully habituated to the disordered situation. It is much easier to swim with the stream than against it. A slothful attitude will propose to let things go as they are rather than to resist them, at least, in spirit, if not in a fuller practical action. Therefore, in sustaining our proportionate indignation, astonishment, repulsion, and the mourning, we keep alive our sense of how things ought to be and we keep alive the faithful memory (memoria fidelis) of the lost beauty. In this way, mourning does not only imply an affirmation, but also an inmost resistance.